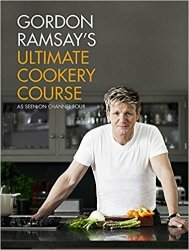 Gordon Ramsays Ultimate Cookery Course is about giving home cooks the desire. confidence and inspiration to hit the stoves and get cooking. with over 120 modern. simple and accessible recipes. The ultimate reference bible. its a lifetimes worth of expertise from one of the worlds finest chefs distilled into a beautiful book.